Asian street food and then some! 5371 Koloa rd, koloa Monday-friday 10am-3:00pm or until sold out. DIm 'N' Den Sum is a husband and wife team. Steven Yonemura and wife, Lynell started the food truck in August of 2017. Steven aka Yoshi started working in back of house kitchens since the age of 16 years old with training in sushi and fine dining restaurants. Lynell worked in front of the house operations and managed at a few restaurants on island. 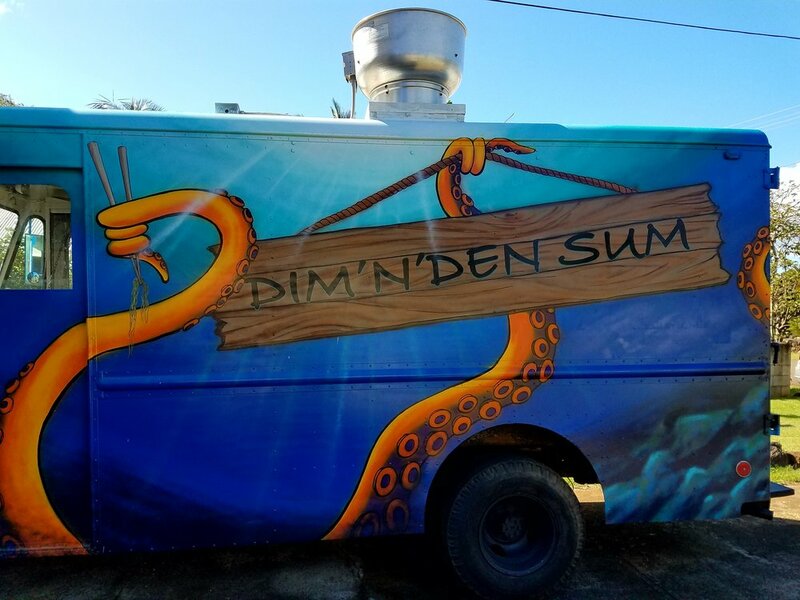 Before they opened their food truck, they traveled to South East Asia to retrace the footsteps of Anthony Bourdain; learn the culture and bring authentic flavors back to Kauai. Together with their knowledge and passion, they strive to give Kauai great tasting food and service with aloha.